“To conceive of planet Earth as a pool of resources to be plundered and exhausted with force, pollution and degradation, is an immense error that encounters the question of the continuity or the interruption of our earthly advent,” underlines Pierre Rabhi, a farmer philosopher and forerunner Of Tomorrow’s World. 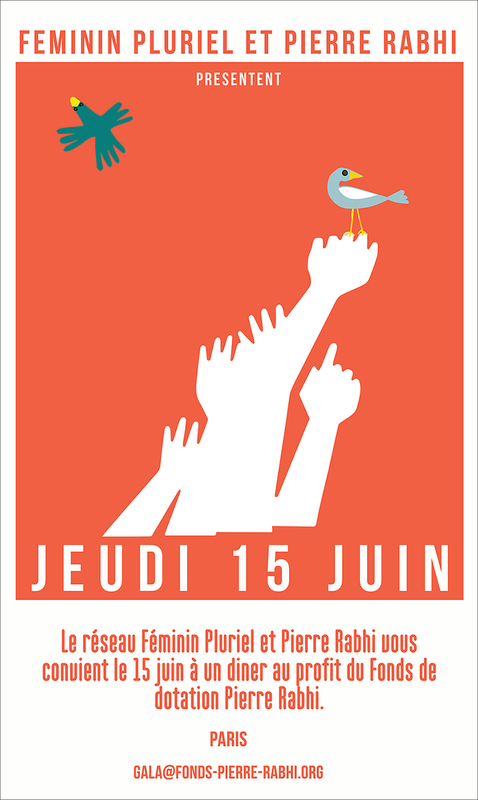 On Thursday 15th June we propose you to create concrete projects to accompany change. This evening responds to the urgency of assuming our responsibilities in the face of this non-assistance to “Earth and humanity in danger”. To make a part like a hummingbird, to live the experience of a collective of the intelligence: co-ferreted and to be the actor of a new act together. Engaged at the end of life and in the service of humanity and nature, Pierre Rabhi has inspired many structures to the publisher of a benevolent society: “Placing humanity and nature at the heart of our concerns” is one of its leitmotivs. Building on previous strong commitments, the Pierre Rabhi Endowment Fund, created in 2013 to open the circle of its sympathizers and collect new financial means to amplify a collective and positive energy “to help help” and multiply the actions carried out both in the North and in Europe, inspired by La Need to change the course of our history. The very essence of life is now at risk because of hostage-taking, among those of seeds by lobbies motivated solely by financial profit. This grip threatens all mankind. This was the motivation for the seed women movement, Pierre Rabhi and the Support and Support Fund, as well as other initiatives working with the spirit in other areas. Women who are naturally more sensitized to the issue of transmission – to a lively and free seed, seem better empowered to support and promote this constructive protest in the service of equity and peace. Founded in Paris in 1992, Féminin Pluriel is an international network of women entrepreneurs: women of the head, heart and action, influential and committed women. Feminine Pluriel distinguishes itself from a society based on competition by advocating values ​​of collaboration, authenticity and benevolence. The network shares the values ​​of Pierre Rabhi and is committed to his side to realize the projects he accompanies. Dinner is limited to a hundred guests, starting at 19:30. For security reasons, the address is kept confidential, the invitation card is sent to the reception of the payment. Dinner is followed by a private concert by Polo & Pan, and the Cassius duo. Response requested by 20 May. Individual place : 300 euros. Private individuals: 66% of the value of donation is deductible from Income Tax. Company: 60% of the value of donation is deductible from Income Tax.